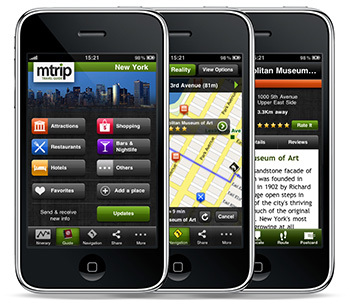 Looking for a travel guide app but not sure if mTrip is the one & only for you? Not to fret because Apple is featuring the mTrip app in some of its stores in New York and across Europe (and possibly some other locations too)! If you pop into one of their stores, the app will be available for demo on their iPhones. We are grateful that Apple is giving some of our customers the chance to demo the app! The ability to demo an app and have certainty prior to purchase is very valuable. Have you seen the mTrip demo in any other Apple Stores? Please let us know in the comments so we can add it to the list. The apps are also available for direct download here!